Home → Search results for "smiley"
The power of a smile is unlimited… A smile is contagious. It is entertainment and medicine. It is food for friendship. It is vital to business associations and to society. Joy Young, assistant director of sales and marketing, contacted Harvey Ball, a freelance commercial artist, and asked him to create a little smile that could be used on buttons, desk cards, and posters. Ball drew a smile. Not satisfied with the result he added two eyes, creating a smiley face. On January 3, 1964 Worcester-Guarantee launched its internal campaign introducing Ball’s smiley face to its employees. This simple smile would eventually become familiar to millions of people world-wide and become a pop culture icon. What do you think is the best way to celebrate the 50th Anniversary of Harvey Ball's iconic Smiley Face? In 1963, State Mutual Life Assurance Company in Worcester faced a problem. The Worcester-based firm had purchased Guarantee Mutual Company of Ohio the previous year to work with Worcester Mutual Fire Insurance Company, a State Mutual subsidiary. Low employee morale in the merged companies prompted State Mutual Vice President John Adam, Jr. to suggest a “friendship campaign.” He asked Joy Young, Assistant Director of Sales and Marketing, to develop something. Young turned to Worcester freelance artist Harvey Ball, requesting he create a little smile to be used on buttons, desk cards and posters. Ball drew a smile but, not satisfied with the result; he added two eyes, making a smiley face. The whole drawing, he recalled later, took ten minutes. He was paid $240 for the entire campaign, and never received any further profit from his smiley face design. Today, State Mutual is Allmerica Financial, and Worcester Mutual Fire Insurance is no longer a subsidiary of State Mutual. Now called Worcester Insurance Company, it still uses the smiley face on its promotional material. The smiley face attained a life of its own well beyond the company’s walls. Harvey Ball’s design sparked a fad that swept the nation in the early 1970s. By 1971, smiley face was the hottest selling image in the country: an estimated fifty million smiley buttons alone had been sold, and the image appeared on countless other products as well. Eventually, smiley’s popularity began to wane, and by the mid-1970s the fad was over. The image never entirely disappeared though, and began to make a significant comeback in the late 1980s, with the resurgence of sixties-and seventies-inspired symbols, fashions, and music. Smiley’s popularity continues today, its appeal both universal and enduring. Harvey Ball (1921-2001) was born and raised in Worcester. He attended South High School, where he was especially interested in art. In his third year of high school, he apprenticed himself to a local sign painter, who taught him how to create visual images with a strong impact. In 1940 Harvey won a scholarship to attend Worcester Art Museum school, and received training in the fine arts. Following service in the U.S. Army during World War II, Ball returned to Worcester where he worked for a local advertising agency. In 1959 he started his own business, Harvey Ball Advertising. He had completed other projects for State Mutual before receiving the smiley face commission. Harvey founded the World Smile Corporation, which licenses smiley’s and organizes World Smile Day on the first Friday in October. Although Harvey died in 2001, World Smile Day continues to raise money for the Harvey Ball World Smile Foundation, a non-profit charitable trust which supports children’s causes. The Harvey Ball Smile Award was created by Worcester Historical Museum in 2001. The “Harvey” pays tribute to Harvey Ball (1921-2001), creator of the smiley face and World Smile Day, by honoring an individual, organization, or group of individuals whose goodwill has made a difference to the City of Worcester. 2005 Charles F. Monahan, Jr.
1. Once There Were Some People Who Were Feeling Kind Of Blue So They Called Up Harvey Ball, He Knew Exactly What to Do He Drew A Smiley Face, He Made It Yellow Too It was Sunny, It was Simple And He Said “I’m Through” (Now). 2. Well The People Got Excited When They Saw What He Had Done So They Made Up Smiley Buttons And They Handed Out A Ton Which Went Around The World Like The World Goes Round The Sun For A Smile Begets Another So There’s Never Just One (So). 3. Well That’s A Little Story Of How Smiley Came To Be Back In December Of 1963 Call The Guiness Book Of Records Tell Them “Quick Come See” The Happiest Face In All of History (And). 4. O The Moral Of The Story Is To Help The World To Smile You Do An Act Of Kindness, You Go The Extra Mile And What You Do Comes Back To You In Just A Little While For Goodness Is Contagious And It’s Never Out Of Style (So). Harvey Ball (1921-2001) was born and raised in Worcester. His father operated a cigar shop at Lincoln Square near the court house, and later worked as a watchman at the Melville Shoe company warehouse on Hammond Street. Ball attended South High School where he was especially interested in art. In his junior year he apprenticed himself to a local sign painter who taught him how to create visual images with strong impact. He won a scholarship to attend the Worcester Art Museum School in 1940, where he received training in fine arts. In his view, working at the sign shop may have been better preparation for his commercial art career than the formal training he received at the Worcester Art Museum School. Following service in the U.S. Army during World War II, Ball returned to Worcester where he worked for a local ad agency. In 1959, he started his own business, Harvey Ball Advertising. As a freelance artist, he had completed other projects for State Mutual and its affiliates before receiving the smiley face commission in December of 1963. His $240 fee for the entire campaign included $45 for creation of the button. He never realized any further profit on his smiley face design. In 1963, State Mutual Life Assurance Company of America, now All America, faced a problem. The Worcester-based firm had purchased Guarantee Mutual Company of Ohio the previous year to work in conjunction with a State Mutual subsidiary, Worcester Mutual Fire Insurance Company. Low employee morale created by reorganization in the merged companies prompted State Mutual Vice-President John Adam, Jr., to suggest a “friendship campaign.” Adam assigned the task of developing the campaign to Joy Young, assistant director of sales and marketing for the Worcester-Guarantee companies. Young turned to Harvey Ball, a freelance commercial artist, and asked him to create a little smile that could be used on buttons, desk cards, and posters. Ball drew a smile. Not satisfied with the result, he added two eyes, making a smile face. The whole drawing, he recalled later, took ten minutes. The Worcester-Guarantee companies launched the campaign in 1964, distributing the initial order of 100 smile buttons to their representatives. Agents and clients enthusiastically responded to the yellow buttons; thereafter Young reordered in lots of 10,000. By about 1978 or 1979, however, the campaign had run its course and the smile face symbol was retired. Others have tried to take credit for smiley’s creation. A smiling face image was reported to have been used in 1964 to promote a New York City radio station. David Stern, a Seattle, Washington, advertising executive claimed to have created the icon for a bank promotion in 1967. When questioned by reporters in 1993, however, he recanted his story. Bernard and Murray Spain of Traffic Stoppers Inc. appeared on the television program “What’s My Line” in 1971 asserting that they had made the symbol. None of these claims, however, refutes Harvey Ball’s documented Worcester authorship of the smiley face. Ball continued to work as a graphic designer in Worcester until his death in April 2001. He was also a career military man, retiring from the Army National Guard in 1979 after thirty-seven years of service. In 1990, while campaigning for the Republican write-in candidate for state representative he promoted himself as the creator of the smiley face. Smiley attained a life of its own well beyond corporate walls. Harvey Ball’s design sparked a fad that swept the nation in the early 1970s and became a symbol for a generation of Americans. LGBTQ+/Community Pride and Latino History Project of Worcester – please visit their websites for events and Discovery Days. 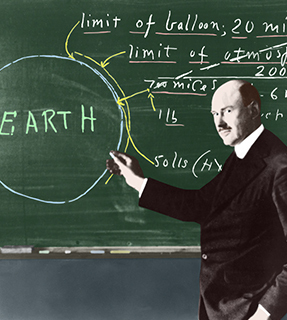 2019 marks the 50th anniversary of the realization of Dr. Robert Goddard’s dream of putting a man on the moon. A year of celebrations kick off on March 15! Please visit www.discovercentralma.org for a calendar of events. 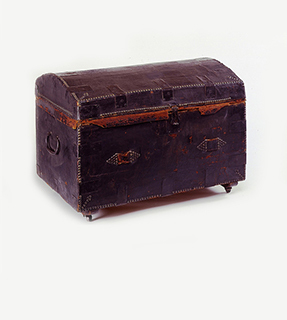 In celebration of Patriot’s Day, the Museum will again display John Hancock’s trunk. This historic piece will be on display for ONE WEEK ONLY…before it goes to the New-York Historical Society for the September 2019 exhibit Beyond Midnight: Paul Revere organized by the American Antiquarian Society. Meet the president of the Continental Congress, John Hancock, in person and hear of his role in the Revolution. The story of the American Revolution in New England and events leading up to it were more than just Boston, Lexington, and Concord. Worcester played an important role as well. Join us for a one hour walking tour and visit some of the places where revolutionary history was made in Worcester. Each tour is limited to the first 12 attendees. To reserve your spot(s), register online or call 508-753-8278! To reserve your spot(s), please register online or call 508-753-8278. This fun workshop is free with Museum admission. WHM is happy to announce that we have again been accepted into ARTWEEK’s weeklong celebration. Now celebrated each spring across the state, ArtWeek has been recognized by Expedia, USA Today, Forbes, Thrillist, and Americans for the Arts. There are over 500 events in 130 towns and neighborhoods representing every region in the Commonwealth. 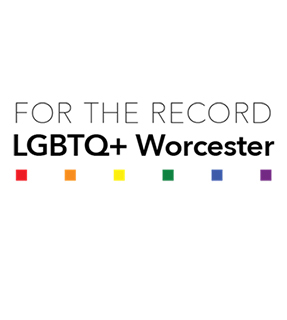 In conjunction with WHM’s LGBTQ+ Worcester for the Record exhibit, guests are invited to an interactive workshop on expressing and exploring oneself through comic creating, led by local artist, Savannah Dube. Another Worcester ArtWeek event. WHM is partnering with the DCU Center to encourage participants to paint ANYTHING in Worcester’s history…right on the ice…home of the Worcester Railers Hockey Club. Many iconic Worcester thoughts come to mind – Dr. Robert Goddard/Rockets, Casey at Bat, Smiley Face, Barbed Wire, Valentines, Corsets, diners, poems, etc., etc. – but it can be as recent as painting the Worcester Bravehearts, Notre Dame Church, etc. The options are endless. A registration fee of $10 will apply, and $35 for groups of 4 who pre-register – benefitting the American Young Voices scholarship program. Stay tuned on the DCU Center Social Media Channels (@dcucenter) for information on how to register. Food and (adult) beverages will be available for sale. Another event with the citywide #worcesteronthemoon celebration of Dr. Robert Goddard’s 50th anniversary of his dream of putting a man on the moon. Discover cutting-edge scientist-musicians of the 18th century and rarely-heard Baroque music inspired by gazing at the sky! Our season finale spotlights the little-known musical voices of scientific luminaries such as William Herschel, C. F. Baumgarten, and John Marsh, along with a suite by J. C. Schmidt written for the 1719 Dresden Festival of the Planets, and a Planetary ariette by Rameau. Astronomical imaginations! Tickets range from $35 to $10 (kids in Section B are Free). Visit www.oldpostroad.org for additional information and to purchase tickets. Join us at Salisbury Mansion for the time-honored tradition of hand embroidery. Make a keepsake sampler to give to the special person in your life for Mother’s Day. Don’t know how to embroider? Not a problem. A staff person will be on site to help you every step of the way. There will be time during class to view samplers from the museum collection. Please register here or call 508-753-8278 to reserve your place. Please note – we will be using sharp sewing needles. This class is not appropriate for younger children. GIFTS: Membership makes a great gift. Visit http://www.worcesterhistory.org/joingive/membership/ to give a year-long gift. And be sure to visit the Museum shop for one-of-a-kind gifts. Did you know that Worcester is not only the birthplace of barbed wire and the monkey wrench, but of smiley face and the space suit? Do you know who created the yellow Smiley Face? No, it wasn’t Forrest Gump. The exhibit, An American Icon, explored the origins of the iconic yellow Smile Face and its progression in American pop culture. In 1963, Worcester Mutual Fire Insurance Company, a subsidiary of State Mutual Life Assurance Company of America, purchased Guarantee Mutual Company of Ohio. To counteract low employee morale caused by corporate reorganization, the company launched a “friendship campaign.” Joy Young, assistant director of sales and marketing, contacted Harvey Ball, a local freelance commercial artist, and asked him to create a little smile that could be used on buttons, desk cards, and posters. Ball drew a smile. Not satisfied with the result, he added two eyes, creating a smiley face. Soon Harvey Ball’s Smiley became more famous than the Mona Lisa. A true American icon was born…right here in Worcester. Worcester is located in Central Massachusetts, and is known as the “heart of the Commonwealth.” Worcester was established as a town on June 14, 1722, chosen the shire town or county seat of Worcester County in 1731, and incorporated as a city on February 29, 1848. Where did Worcester get its name? No one knows for sure, but there are two most prevalent opinions. Some believe the name Worcester comes from the Saxon Wegeraceaster, meaning war castle, while others say that the city may be named after the Battle of Worcester (UK) in 1651. What are the seven hills of Worcester? 1) Pakachoag (Mount St. James) – where the largest of Nipmuck Indians lived. 2) Sagatabscot (Union Hill) – the second settlement, where Digory Sargent was killed in his home by Indians in 1701. 3) Hancock Hill – Once owned by John Hancock. 4) Chandler Hill (Belmosy Hill) – site of the first reservoir, the oldest Armenian Church in the United States, and East Park. 5) Green Hill – ancestral home of the Green family since 1755, now a public park. 6) Bancroft Hill – named for the well-known historian, George Bancroft. 7) Newton Hill – farmland that was purchased by the city for a public park. Did you know that there were three attempted settlements of Worcester? #1- Worcester was first settled under the Indian name of Quinsigamond in 1673. At the start of King Philip’s War, the settlement was abandoned. #2- It was at the second attempted settlement that the name “Worcester” meaning “war-castle” was adopted. This settlement was also abandoned in 1701. #3- The third and permanent settlement dates from 1713. Worcester was incorporated a town in 1722 and a city in 1848. Did you know about these famous firsts? The Declaration of Independence was first publicly read in Massachusetts by Isaiah Thomas in Worcester in July 1776. The monkey wrench was invented by Loring Coes of the Coes Knife Company in 1840. Worcester resident Charles Thurber patented the first modern-day typewriter in 1843. The first national convention of women advocating women’s suffrage was held in Worcester on October 23 and 24, 1850. In 1854, Elm Park was the first purchase of land for a public park in the United States. Worcester resident Joshua Stoddard invented the steam calliope in 1855. J. Lee Richmond of the Worcesters pitched the first perfect game in major league baseball history on June 12, 1880. Worcester resident Henry Perky became the first to mass produce shredded wheat in 1895. Albert A. Michelson, chairman of Clark University’s Physics Department, named America’s first Nobel Prize Winner in 1902. 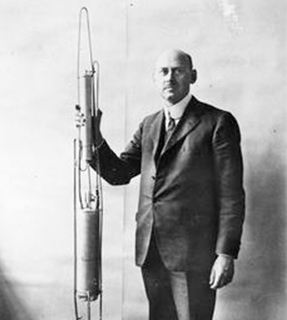 Dr. Robert H. Goddard of Clark University patented the first liquid fuel rocket in 1914. Harvey Ball designed the world famous Smiley face in 1963. Our History. Our Future. 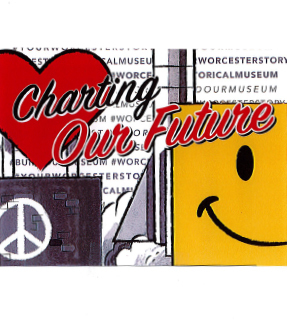 The Campaign for Worcester Historical Museum. Who will tell your story? We do and we will…with your help! At Worcester Historical Museum, we collect and share stories from the past for today—and continue preserving today’s stories for tomorrow.